Description: First-run copies include poster folded inside case. 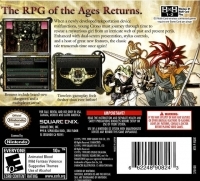 Box Text: The RPG of the Ages Returns. 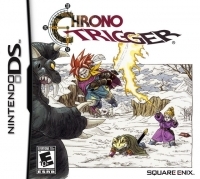 When a newly developed teleportation device malfunctions, young Crono must journey through time to rescue a mysterious girl from an intricate web of past and present perils. Enhanced with dual-screen presentation, stylus controls, and a host of great new features, the classic tale transcends time once again! Bonuses include brand-new dungeons and a multiplayer arena! Timeless gameplay feels fresher than ever before! 06-24-2014 desocietas Description First-run copies include poster folded inside case. 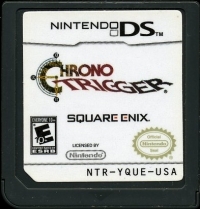 This is a list of VGCollect users who have Chrono Trigger in their Collection. This is a list of VGCollect users who have Chrono Trigger in their Sell List. This is a list of VGCollect users who have Chrono Trigger in their Wish List.